In January 2015 the tree planting began in both the exotic and Islamic gardens. 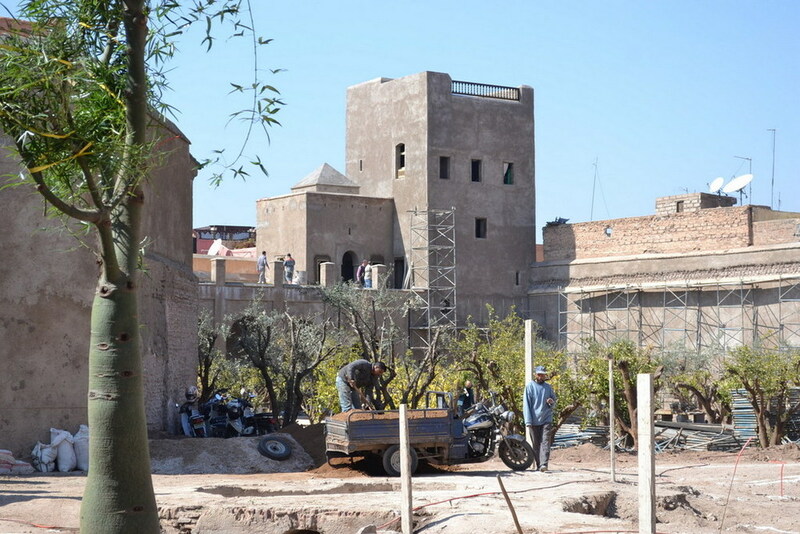 The trees for the exotic garden had been selected in a Sicilian nursery called Piante Faro and driven to Marrakech in a container (see journal entry titled 'Sicilian nursery visit'). The Citrus and Olive trees had been lifted from fields at the base of the Atlas mountain range (see journal entry Le Jardin Secret - 3). 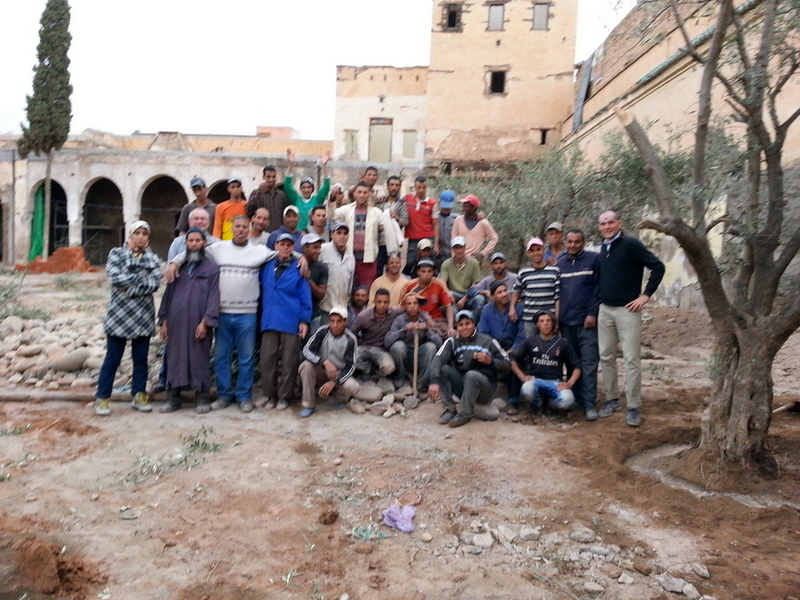 Planting was largely a manual process due to the limited access through the narrow streets of the Medina. 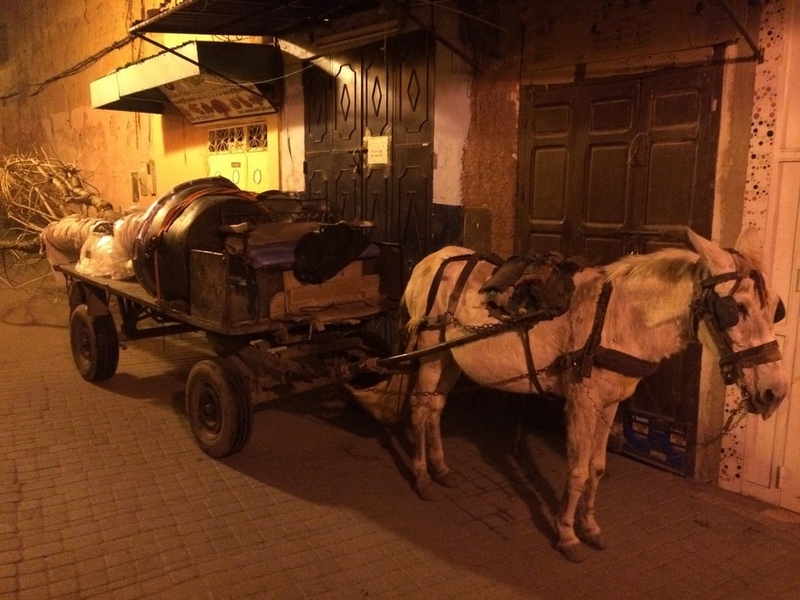 The trees would be taken by donkey and cart through the Medina between 1am and 6am, before the stalls in the souk would open and then man-handled into place once onsite.